When I was cleaning out the shed I found a old Christmas wreath hanging on the wall. The lights did not work but the wreath was in good shape. I decided to clean it up - cut off the lights that did not work and give the wreath a new life. Davey and I headed to Family Dollar for a few items to make the wreath look new again. First I placed the Red Sprays in the area where I wanted to place the bow. Then I wrapped the Red Shiny String around the wreath. Then going the different direction I wrapped the Gold Shiny String around the wreath. I then placed the Gold Reindeer on the wreath wrapping a piece of the wreath around the front legs to hold the reindeer in place. I then made the bow in the center of the Red Sprays. 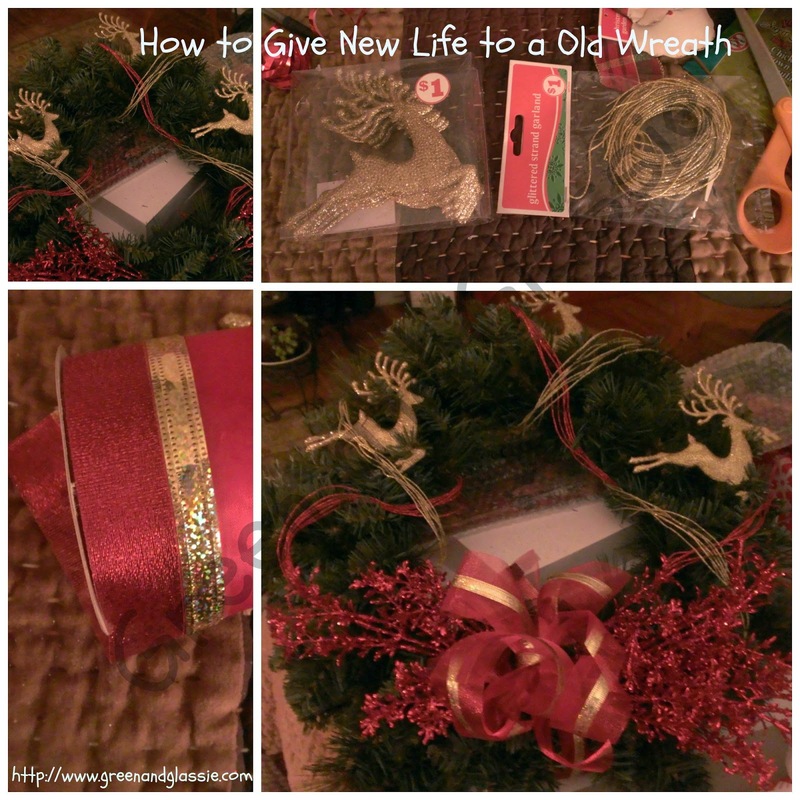 Super easy and a great way to bring new life to a old wreath. Perfect for the front door. I also turned my back door grapevine wreath into a Christmas Wreath. I added a bow and a door knob decoration to the wreath. I tied the door knob decoration to the wreath when I made the bow. Do you have any old wreaths that need a new life? Wreath making is so easy, so why am I always intimated to make them? I see so many tutorials but in my head I always think it's hard. How pretty! Such a great idea! I need more wreaths in my life I think! I want to do one for Christmas this year! I used to make my own wreaths every year, but I've gotten out of the habit. I always see tutorials like this and want to get back into it. Those are beautiful wreaths. And I like the price of giving them life again. I love handmade wreaths! Although I usually buy mine from local craft fairs because I can't ever find time to craft! Brilliant redo. Love the looks and great job! What a great idea! 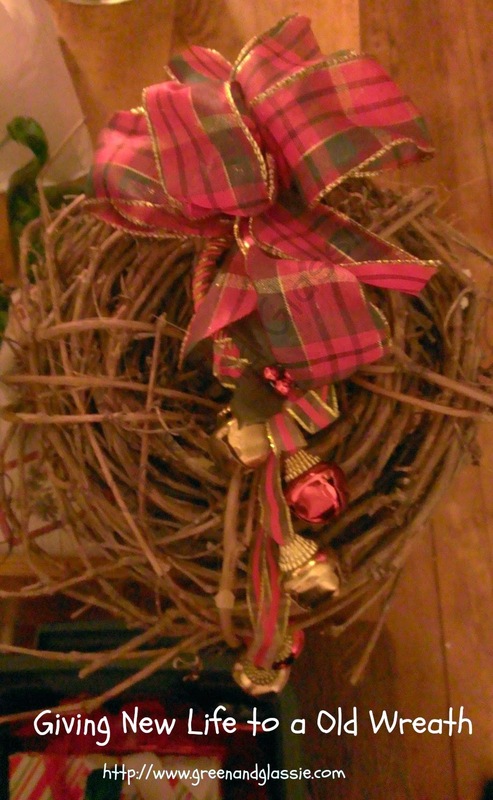 I am sure we all have some old wreaths that can use new life! I have a few old wreaths that could use new life that's for sure! You did a great job! What a great idea! It's much better to breathe new life into an old wreath than to throw it away.